I love the idea of a modern-age teen oracle! I'm very curious to see how Aria deals with her gift/curse. The murder mystery element is also intriguing. I just hope I'm reading the signs wrong and there is no love triangle. In what way were these two boys involved with Jade? And what does that mean for Aria? Plus, I like that this seems to be a standalone. 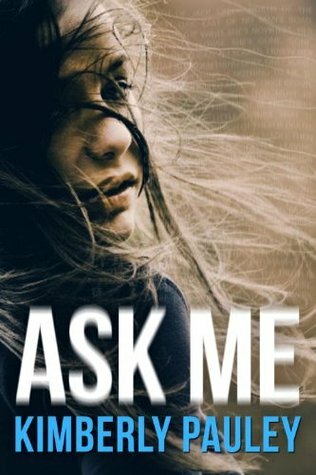 Have you heard of Ask Me? What do you think? Sounds interesting - adding to my list, thanks for sharing! I totally messed that comment up, haha. I've seen it around but haven't taken much notice of it. But, it does sound like it has the potential to be something amazing. Great pick! Oh wow Carmen! This does sound super cool! Thanks for sharing girl! Adding this one to my TBR for sure! Haven't heard of this but you're right - an oracle book does sound cool!